I am beginning to feel guilty about abandoning my poor little blog for so long. I have had so much good stuff going on, and I haven’t had any time to keep up with it here. Dan came for a visit at the beginning of the month and it was awesome to have him around in the city. I plan to make a whole proper post about it at some point, hopefully soon. 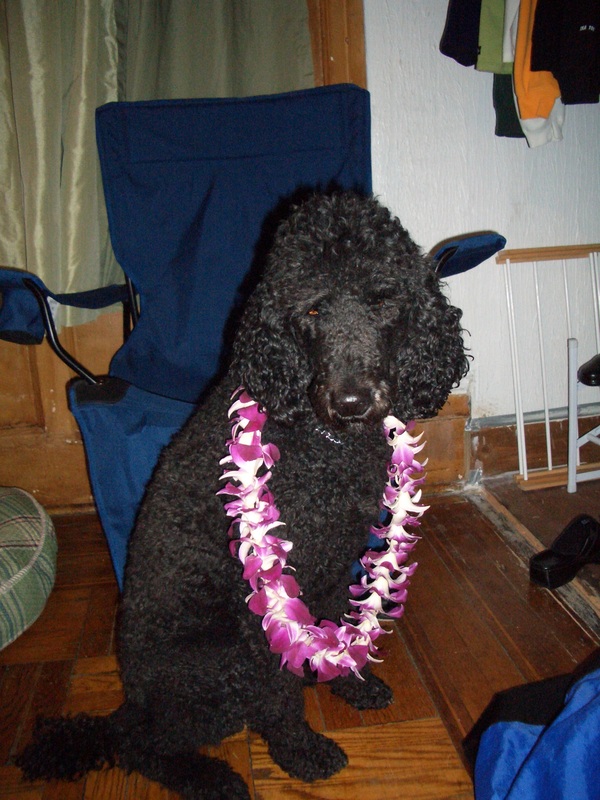 A week after he departed, I left for Hawaii to spend a week chillin’ on the beach with the fam for Thanksgiving. It was heavenly, and I plan to post about that soon too. I returned from Hawaii last Saturday night. I spent the night pretending like I was still on the islands. I dressed spot up in a lei and ate pineapple pizza and tried to ignore the cold front that had just settled in on the city. Then, around three in the morning, disaster struck. Food poisoning from hell. The quote at the top is from Biodome (terrific flic) and I can tell you that my Mahi Mahi definitely wanted to be free. Jon came down with the same thing and we concluded that it was most likely from our last meal on the islands. I haven’t thrown up with such force, or in such quantities, in as long as I can remember. I have spent the week trying to regain some of my strength, relearning how to consider food a friend of mine, and writing papers until 3:30 in the morning as I have found myself in the middle of the crunch at the end of the semester. I hope to squeeze in some time for more posts soon, but for now I will just comment that people in New York City, especially the girls, click everywhere they go, “Click, click, click” as they walk down the sidewalk. People in Hawaii do not do this, presumably due to the flip flops. I miss wearing sandals.